Sunset camel in the palm grove of Marrakech. 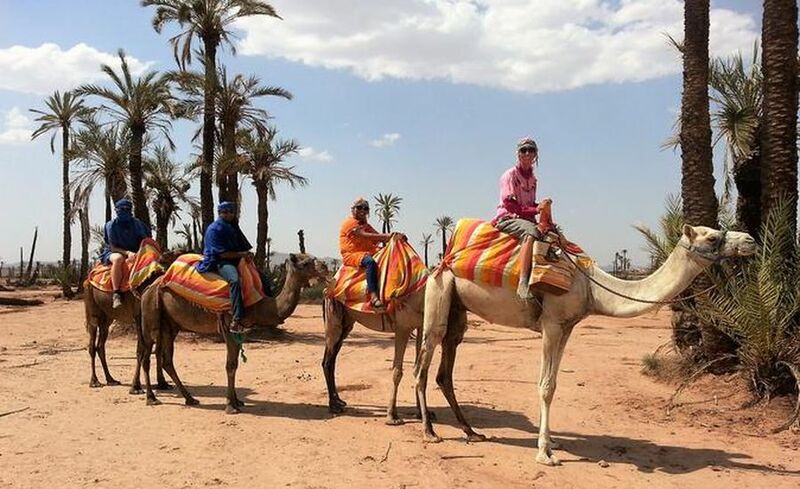 Pick you up from your hotel / Riad, or from a specific location agreed on in advance, accessible by car (air-conditioned vehicle). Stopping first at a Berber house located in the outskirts of Marrakech. 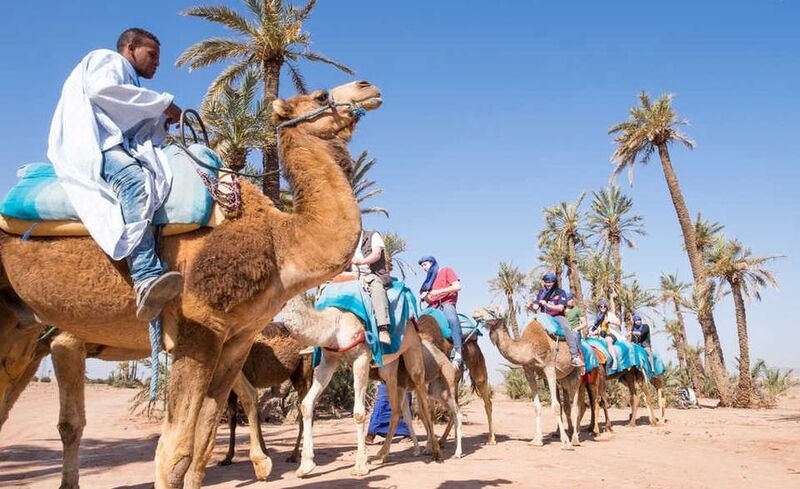 Enjoy an unforgettable and unique experience with the company of a local family while sipping authentic Moroccan mint tea in a pleasant setting. 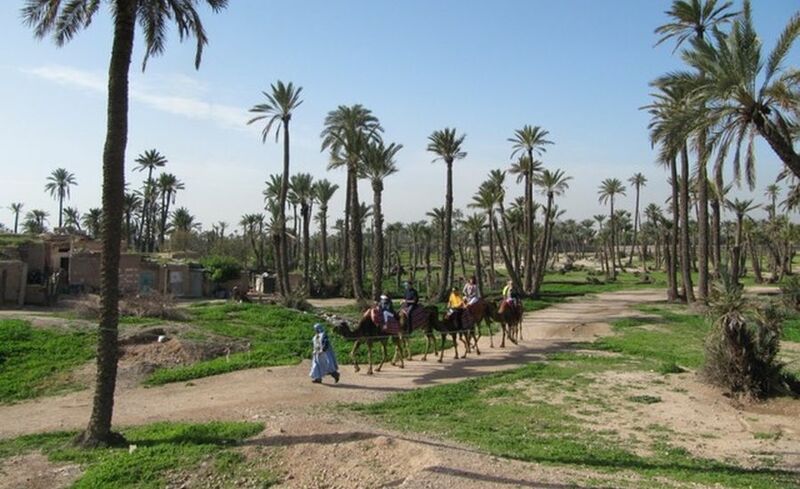 After donning your Gandoura and Tagelmust (often indigo blue-colored veil), get ready for a safe dromedary ride at sunset through the palm groves of the red city for the duration of one hour , where you get to immerse yourself into the beauty of oasis-like landscapes. Make sure to have your camera ready to get your best captures of the views as the sun descends through the sky and absorb the serenity of the surroundings as you saunter through the grounds. This activity is available all afternoon, usually two hours before sun down. The exact time of departure will be communicated after confirmation. 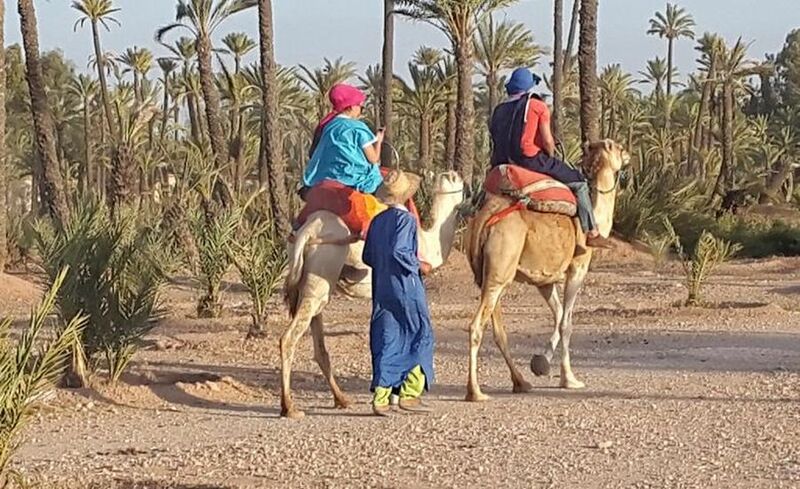 Pickup (and drop off) from your hotel / riad. Tagelmust, Gandoura, mint tea with the locals. Diesel 4x4 car or a comfortable and air-conditioned minibus. 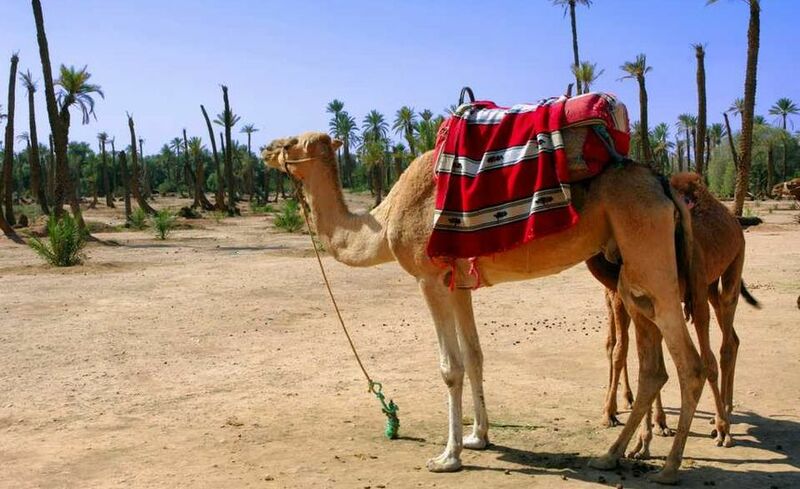 Camel rider guide will be available on time for the ride. All Entrance fees included Local taxes Fuel included.